The Kickstarter adventure is over and we got fully funded! We want to THANK THE 225 BACKERS AND YOU ALL for the huge support and encouragement you have given to us! Thanks to your commitment, we made it! 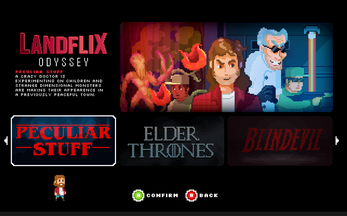 We're looking forward to bringing Landflix Odyssey to the next level! We will continue to improve it and we'll finish its development and testing by this fall. Keep following us! We'll keep you updated on all our channels. 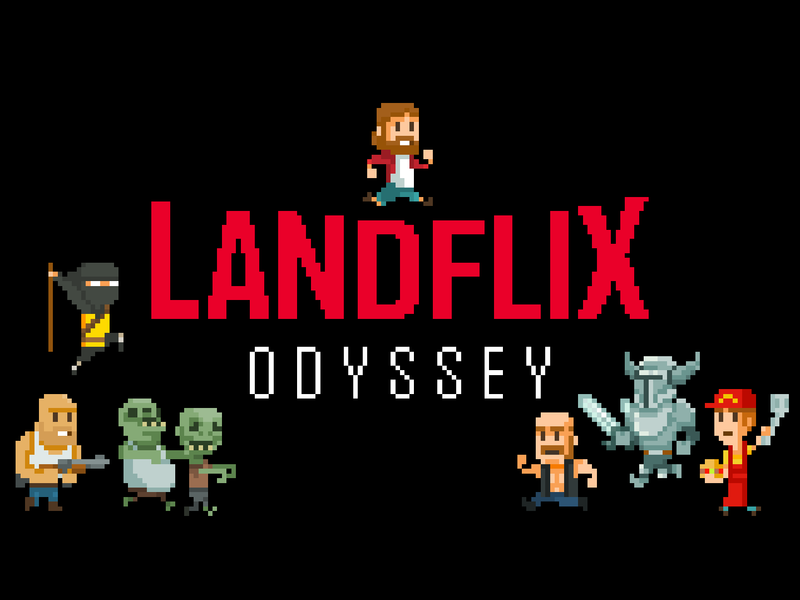 Landflix Odyssey is a 2D platformer that ranges from classical platform to other typical run and gun and metroidvania gameplay types, in a delightful retro style pixel art. Set in a fictional world based on famous TV shows, you'll learn how to use 5 powers inspired by those shows plus a unique move, the burp. - 5 worlds based on famous tv shows. - Use 5 powers based on said shows plus Larry’s signature move, his huge burp. 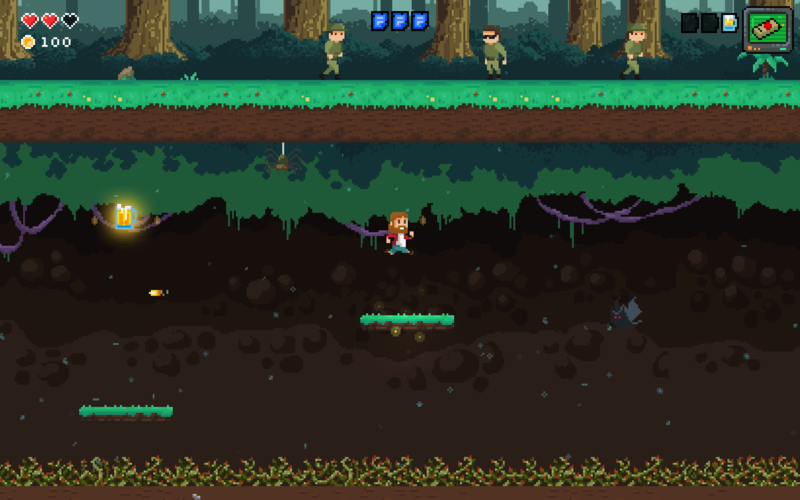 - Power up your skills to increase your chance of saving the world. 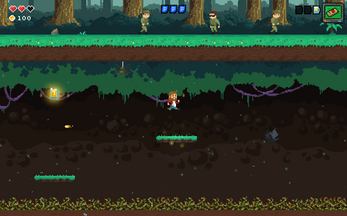 - Fight 5 bosses and 5 minibosses based on your favourite antagonists. - Unzip the downloaded file (in Windows 10, double click the downloaded file to open it, then copy all the content to a folder of your liking, such as: c:\games\landflixodyssey). 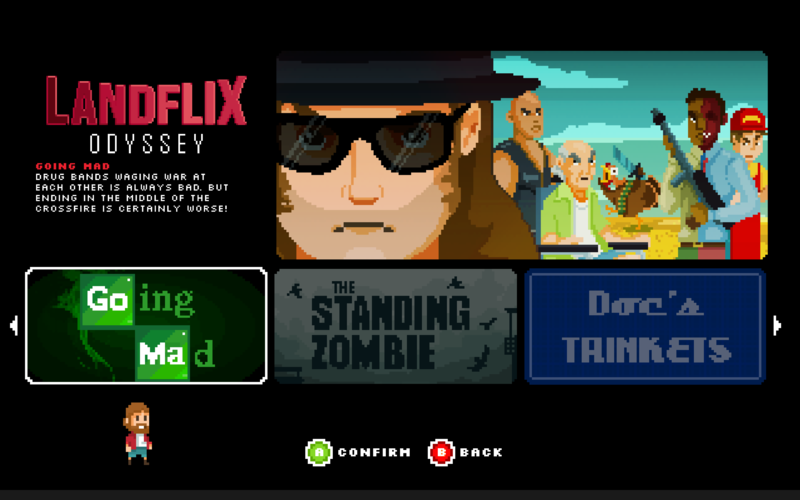 - To start the game, double click the "Landflix Odyssey" file. - It is recommended to play with a gamepad, although keyboard will work fine as well. Game incrível e viciante !!! This is great. The first Stranger Things level was the perfect difficulty, and I was at the edge of my seat the whole time. Looking forward to seeing how other shows are reinterpreted into platformers. However, I found the controls for keyboard to be somewhat frustrating, especially since it only shows the controller controls. THIS IS GOING TO BE TURNED INTO A SERIES!!! We are trying to contact Netflix, but it's very hard! We need help with the kickstarter, it's the last week. Spread the word! Found the character controlled a little on the heavy side (all the beer?) 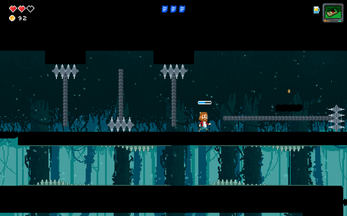 but otherwise a good little platformer. we played this game on a live stream the 3rd game game we play. ^-^ very cute. very fun. And congratulations for the collection!!! This game is very entertaining and fantastic! I like it! I had a quick play and I really liked. I did a short video. I will return to this tonight and do a longer video. this game is hard but fantastique! congratulation ! i love it! This is a great game, really fun. Thanks! The kickstarter is about to end, talk around! The kickstarter is about to end, spread the word.! This game is awesome! 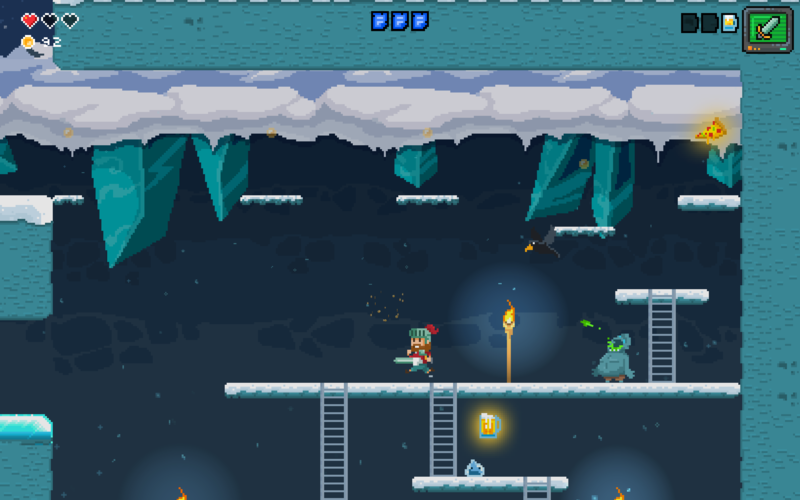 I posted this to Gamejolt as well, but wanted to put it here (seems better for you guys to see it). I wish you all the best and I hope this game makes it through it's kickstarter! Hey guys this a fun game that I recommend you give a try, I liked playing with a a controller instead of a mouse and keyboard. Here's the link to my video on the game!! Loving the game so far, it's a lot of fun. The music is really good so far. I've only had a couple problems with the game. Like the platforms that disappear after a while don't seem to be behaving correctly. Sometimes if I just get very close to landing, but don't actually land, it goes away. 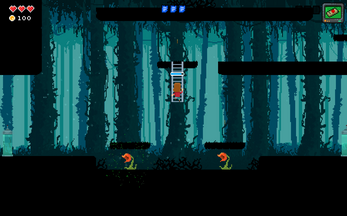 Another is maybe a slight lag between jumping and the actual movement of it. Several times if I tried jumping at a last second spot, even tho the animation looked like it started, i'd still fall from the flipping platforms. Anyways I still had a lot of fun. I hope you enjoy the video! So, episode 2. I still really love the premise behind the game and for that you have my support. But the more I play the game the less I want to play more, this is probably just due to my taste in games. i found myself wishing there was more emphasis on combat or puzzles, neither of which are this game's focus. The timed sections are what got to me. Great video, it will be very useful! I know this game is going to go far. The best and, most funny platformer i've played! Rick will probably arrive with the first free DLC! We would like to release a free mini DLC every year with new series or new episodes! Awesome premise and game you've got going on here! I. also, was not expecting it to be so hard on the fist level, but no real complaints there. 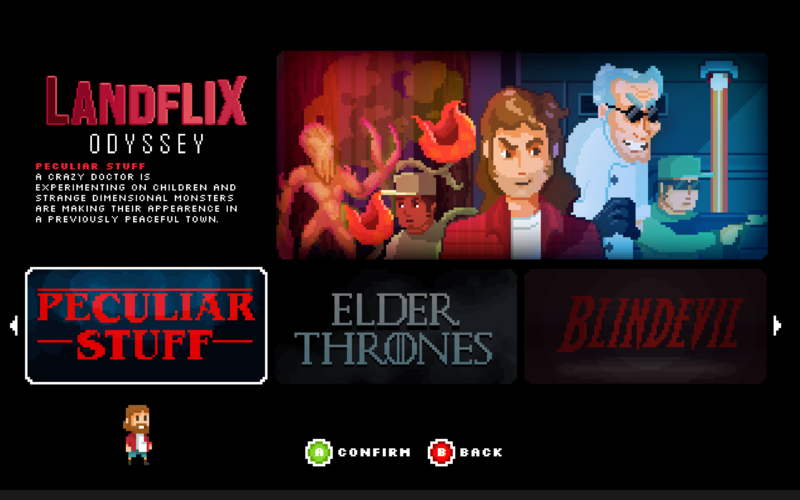 Sadly I don't watch Stranger Things or GoT so the demo references are gonna go right over my head. The mechanics seem pretty sold overall, but could use some fine tuning here and there, my thoughts are a lot more detailed in and at the end of the video. Best of luck on your Kickstarter! Fun Demo, can't wait to see the finished game!